Pillars of Eternity, is pretty much the very best old school RPG on PC today. It’s magical, engrossing and deeper than that ingrown toenail on your left foot. Great stuff then, and a contender for the best PC game of the year. So how do you improve on that new universe then? With cards of course. With cards. And that’s the idea behind Pillars of Eternity: Lords of the Eastern Reach. On Kickstarter right now, and having clocked in over $40 500 of the $30 000 it needs to be funded, Lords of the Eastern Reach will be developed by Zero Radius games in partnership with Pillars developer Obsidian. 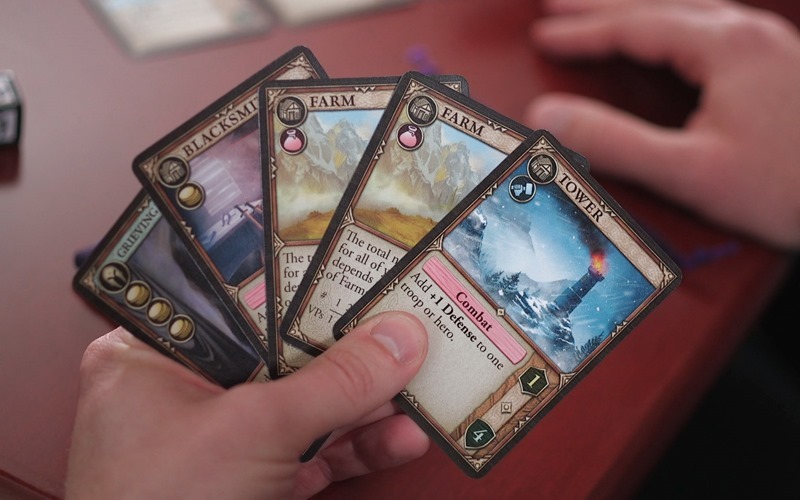 And that’s the key hook here, as Lords of the Eastern Reach is a proper card game. Not digital, physical. Oh yeah, feel that texture in your fingers yo. Lords of the Eastern Reach is for 2-4 players and takes about 20-30 minutes per player. This is an Officially Licensed game designed by veteran game designers Chris Taylor (Lead Designer of the much loved Fallout 1), and Scott Everts (Designer on many well known computer RPGs like Fallout 1&2, Fallout: New Vegas, and Planescape: Torment). The original video game development team was actively involved in its development. It includes everything you need to play. Card games are all the rage these days. Ever since Hearthstone rekindled love for a niche genre of physical gaming and translated it to digital platforms, building decks and throwing down aces has finally managed to escape dingy casinos. It’s a concept that has seen numerous imitations, and far better inspirations such as in The Witcher 3: Wild Hunt. And translating that feel into the Pillars of Eternity world, sounds like some duelling magic to me. 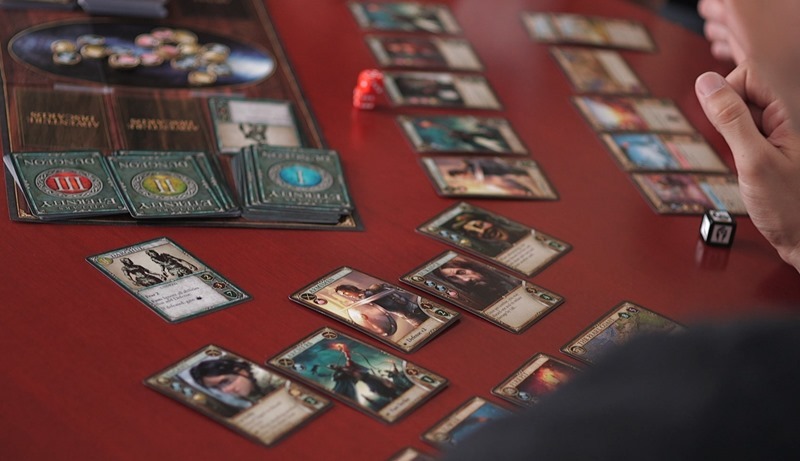 I’m slowly starting to get interested in the revival of board and card games myself, and I’ve got a few pals who would gladly stop playing Pillars of Eternity on their PCs and hit the cards instead.I’m still a complete amateur at these games however, so card game experts, weigh in. What do you think of this particular entry into the genre?